Beautifully furnished NEW house - 3-story - 4-bedrooms, 3-bath. Down comforters and pillows on beds. 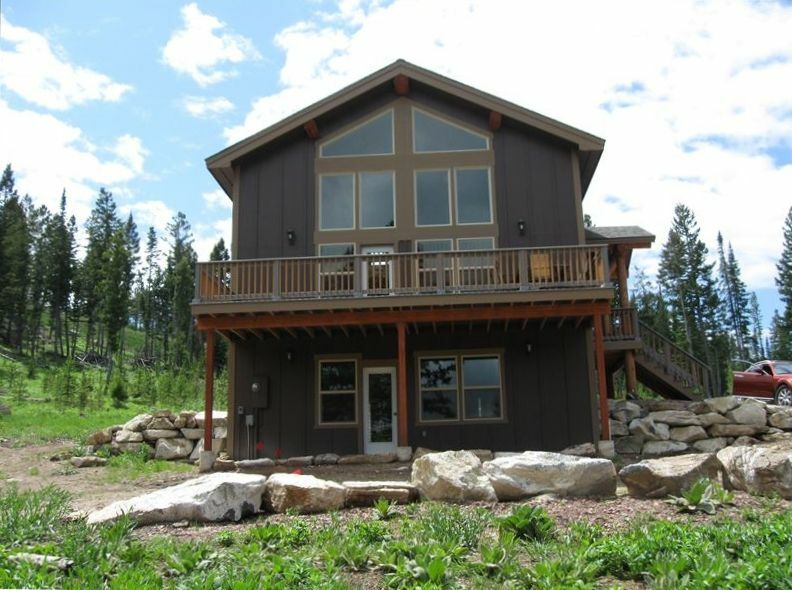 Sunny and light in secluded, quiet, very private area within surrounding National Forest. DOWN comforters and pillows on all beds. Living room on main and lower level. Gas burning - four burners. All ages games and cards. Wheelchair accessible on lower level. Great location, great view, great place. easily fit group of 8 people and two dogs. Plenty of room and space for the whole family. Close to Discovery and quick to Georgetown lake as well. Plenty of room in this newer house. We had two families staying at the property for a long ski weekend. There were plenty of beds and two living areas so the kids had their own space. Would stay here again. The Owners are very nice and responsive. This house was well stocked with salt, pepper, pans, coffee pot... and even my favorite - popcorn! :) only a few toys on site, so bring toys for young ones. But the driveway was the most perfect sledding place you could ever hope for. Our kids spent hours each day we were there, sledding down the driveway like a louge:). Super close to the ski hill too, which was great for our skiing day. We would definitely stay here again. Everything we needed was there. Very clean and comfortable. Perfect accommodation and layout. Would love blinds on the basement windows to sleep in. We had a wonderful stay! The property is beautiful and secluded. The house was very nice, clean, and cozy. It is a few minutes from Discovery which makes it very convenient. We will be staying there again! We really enjoyed our stay up at Georgetown Lake. It was nice to not be too far form the lake and the roads were plowed well despite it being snowy. Everything you could need while staying here was provided. The view was pretty and the house was cozy. I would definitely stay here again.